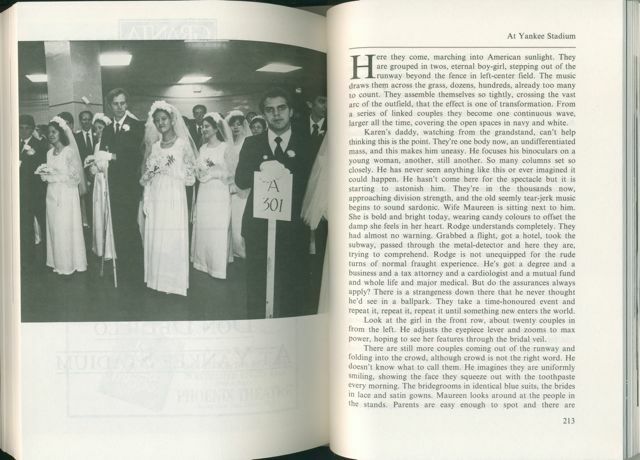 This entry was posted in Don DeLillo, Photography, Phototexts, Picture novels and tagged At Yankee Stadium, Don DeLillo, fiction, Granta, Mao II, novels with pictures, photography, picture novels. Bookmark the permalink. 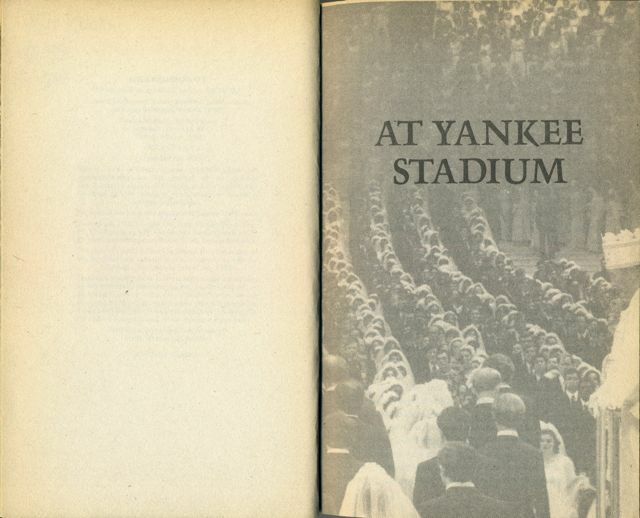 5 Responses to Don DeLillo at Yankee Stadium? It’s a novel. It’s art. It comments, among other things, on the effect on individuals when they turn their minds over to a superpower, a power who dumbs down their ability to speak, and thus to think. It’s a NOVEL. Thanks for the comment, Jackie. That’s the point I was trying to make, that this is indeed powerful fiction, made all the more effective by DeLillo’s use of the opening photograph. Thanks for your comment, David. I didn’t know that. It certainly could be a case of life imitating art! I think what you have here is a conflation of two actual Moonie events by DeLillo. There was the 1982 mass wedding at Madison Square Garden that you found. There was also a mass political rally attended by some 35,000 people on June 2nd 1976 at Yankee Stadium. I know about the latter because my parents were there! I will have to call my now-88 year old mother for the details of how they came to be there enroute from Fargo, North Dakota to my college graduation in Providence Rhode Island, but it did happen. It is in the family trove of lore.